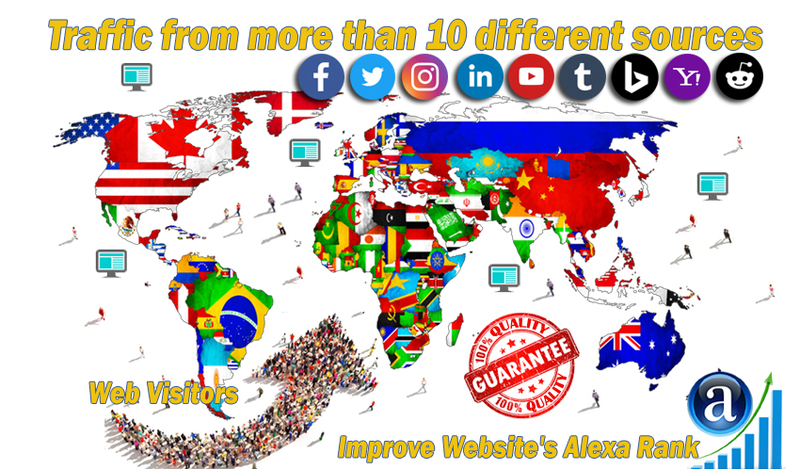 I will send High-Quality Traffic from more than 10 different sources such as Google, Yahoo, Bing, social media sites and some websites. I will send real web visitors for 30 days with Search Keyword and Target Country web visitors for 30 days. Web traffic will be sent for 30 Days + Target Country + Search keyword. Check Extras. Here is a list of our High-Quality Search Traffic from Google prices after adding Extras. All campaigns end within only 30/Days. You can target search keyword and country web traffic. We support web visitors campaign for 30 days from some countries. Contact us for targeted countries before you order. - Geo Traffic and 30 days web visitors.